That Amazon culture story just won’t quit. For management consultants, it’s a gift that keeps on giving. It will be spoken about for years, in the same hushed tones as the famous Netflix deck (remember “stunning colleagues”?). In the wake of last week’s LinkedIn post by Amazon VP Brad Porter about the company’s “magical” meetings (which brought to mind ducks on a pond – managers placidly gliding through their meetings while the team members paddle furiously beneath the surface, researching and fact-checking 6-page documents), I can’t stop thinking about well-intended culture killers. Unfortunately, the most popular approaches to building this mythical workforce are also serious culture killers. Your company may not have gone all in on any of these, but it’s likely you’ve implemented a portion of at least one. And that’s where these cultures get it wrong: They confuse stamina with performance. They think people who have the grit to stick it out and do what it takes (work on vacation, narc on coworkers) are “top performers.” Many, many companies strive for this, forgetting that man-to-man combat is an individual sport. Encouraging individual level competition gets you people with their eyes on a pretty small ball – that of their own achievement. Stamina is not performance. It’s just…stamina. If you really want top performers who are focused on company and team success, you need to recognize and reward people who understand teamwork and who aspire to (and inspire) greatness by encouraging collaboration, ideas, and imagination. Also, I’ve found that companies who want to adopt an HPC see it as a solution to an “LPC.” Yet you can’t fix a “low performing culture” by layering a rigid evaluative structure on top of it. You don’t fix a broken house by building a different house on top of it; you fix a broken house by fixing the broken house. Here’s the thing: Fear is a great motivator. But it’s not a great innovator. I’ve never seen a team, tweaked to the nines, come up with a game-changing idea. It just doesn’t happen. This “last man standing” attitude doesn’t breed long-term creativity and innovation. People get tired of standing on the bodies of their fallen comrades – and then you get uncontrolled evolution, revolution, or a workforce that’s running as fast as it can in circles. There’s a Hyundai commercial running now that shows a cocky dude packing his bag at 6:01pm and walking out of an office while a voiceover intones, “Busy. It’s worn like a badge. Coming in early and staying really late. When did leaving work on time become an act of courage?” His coworkers eyeball his exit. We’ve all been time-shamed like this. It’s pervasive in our culture to fetishize Busyness – every conversation is dominated by overtures of how busy we are, how much we have to do, how little time we have. We use Busyness as explanation, defense and excuse, and as a way to diffuse the guilt (for being too busy or not busy enough!). Of the three culture killers described, this can be the easiest to fix: Treat people like adults. Correct them based on actual performance failures, not on the fear of performance failures. What can you do if you realize you’re killing your culture even as you try to bolster performance? Understand that all three of these methods share a common core: Negativity. And you can’t fix a negative with a negative. Negativity is not a long-term play. It’s not attractive. And the talent you want is not interested in it. If you sincerely want to boost performance, set aside the stick. 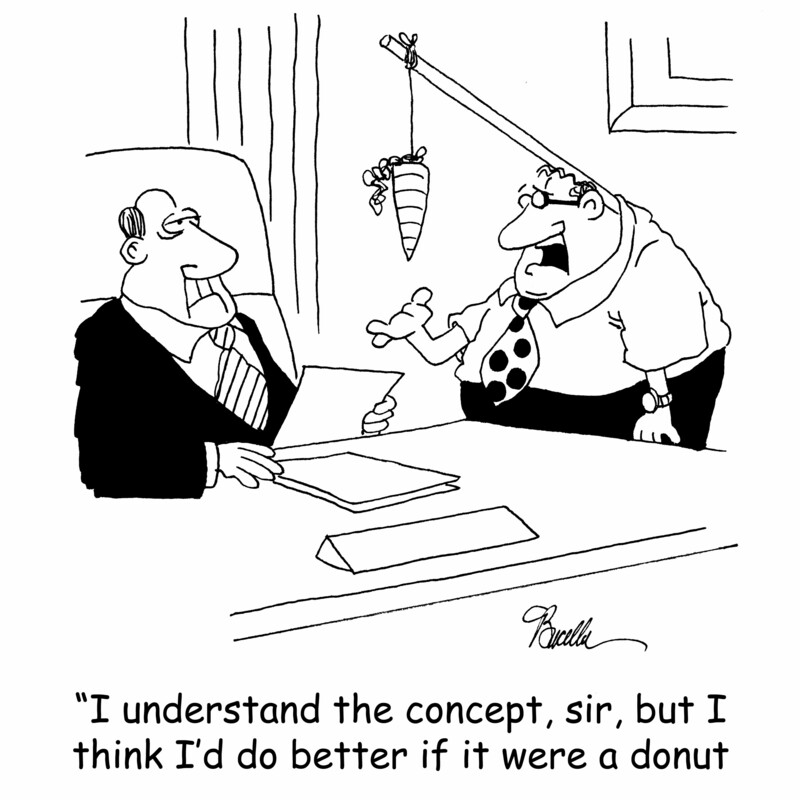 And try to understand the right array of carrots that will get you and your teams where you want to go.